Visible from almost everywhere in Budapest, Gellért Hill (Gellért hegy) is a 235 m (771 ft) high hill overlooking the Danube in Budapest, Hungary. It is part of the 1st and 11th Districts. Gellért Hill was named after Saint Gerard who was thrown to death from the hill. In the 18th century the hillsides of Gellért Hill were covered with vineyards. The Tabán district at the foot of the hill was an important centre of wine-making in Buda. You see Freedom Monument on its peak, is one of the city’s most memorable landmarks. The 14-metre (130 foot) monument was originally commissioned by Miklós Horthy as a memorial to his son, who died in a wartime air accident. When the Russians arrived, they replaced the propeller that the figure was originally meant to hold aloft with a palm frond to symbolize the country’s liberation from the Nazis. There were also peasants and red soldiers celebrating freedom, but these are no longer in position. Just beyond the monument is the Citadella, a fortress constructed by the Habsburgs following the 1848-1849 war of independence. Now an affluent residential area, a number of embassies and ambassadorial residences line the streets which wind up the hill. 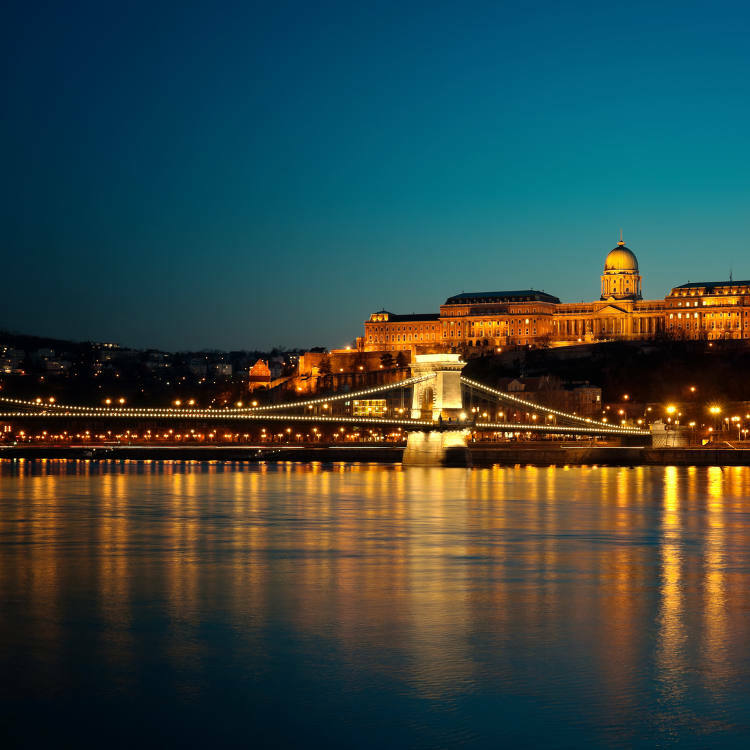 Since 1987, the area is listed as a UNESCO World Heritage site as part of “the Banks of the Danube”. A large proportion of the hill consists of parkland. Bats and hedgehogs are commonly observed on summer nights. You can admire the hill from the Danube during our boat trip but don’t miss to walk up and admire the city from the top.